To many, creativity is thought of as a “God-given” talent or quality that one is born with. An idea that you’re born with the ability to think differently or “think outside the box” instead of learning a process to get you to a certain result. As a creative, I often hear people say they “aren’t creative enough” to complete a task, as if creativity is a gas tank, and they’ve been riding on fumes for miles. Every single person is capable of creative thinking or becoming a “creative genius.” Think of one person at any time in history that you would consider a “creative genius.” Consider all of the attributes that the individual possesses and really think about what it is about them that, in your mind, makes them creative. What accomplishments or successes have they had? Build a profile of who this person is, what it is that they do and why you hold them in such high esteem. I think it’s fair to assume that we can all agree on Paul McCartney as someone we view as a “creative genius.” He himself even claims to have had a “stroke of genius” in his lifetime. McCartney claims that in 1963 a tune that came to him in a dream, would eventually become the melody for The Beatles hit “Yesterday,” the most recorded song in music history with more than 3,000 different versions. Although the melody came to McCartney in a dream, an act that many would consider a sudden inspiration or creative miracle, it was actually a two-year obsession filed with long focused nights and grueling work that finally made the song a reality. This proves that creativity is not something that is brought to us by divine intervention, but instead is pulled out of the hard work and perseverance that we all have inside of us. Creativity is something that can be learned, as long as you are willing to put the time into it. The repetition of doing something over and over, and in the example with Paul McCartney, the repetition of playing the tune and using the knowledge of music that he already learned, took the idea to the next level and ultimately to completion. If you want to start down a path of increased creativity, consider that tools and knowledge you already possess and work it into your decision-making process. 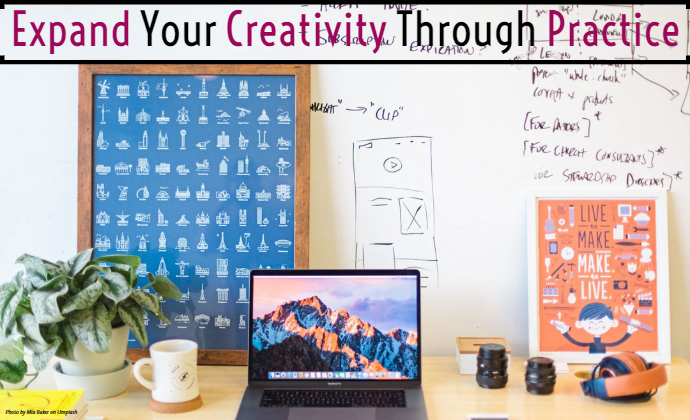 You are already a creative person. You just need to continue to work at it. Previous Article Are You Ready for the 2019 Color of the Year?